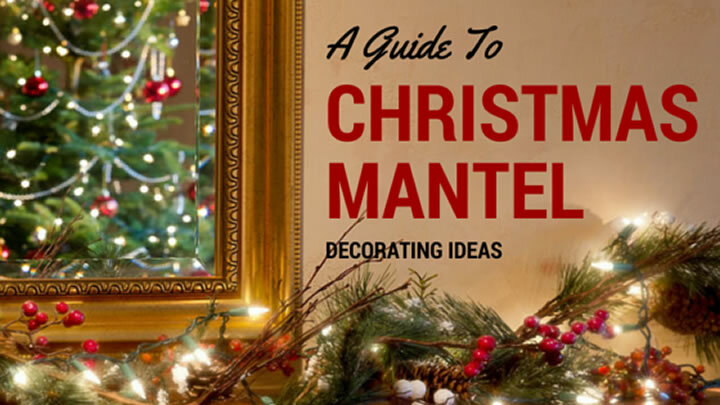 Christmas is almost here again, which means it’s time to start thinking about decorations. But what to do? 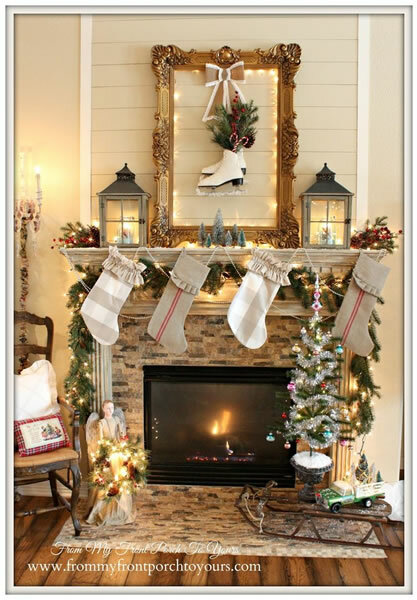 There are dozens of decoration types, including wreaths, lights, garland, and of course, stockings. 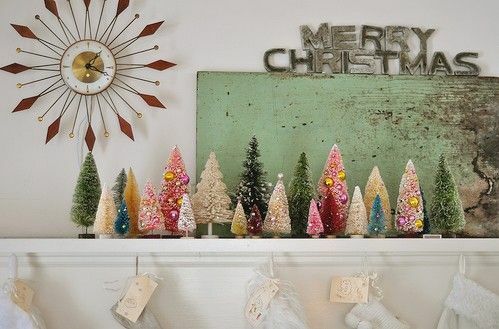 And there are almost as many themes to organize those pretty props to make a mantel shine as brightly as the ever-popular Christmas tree. 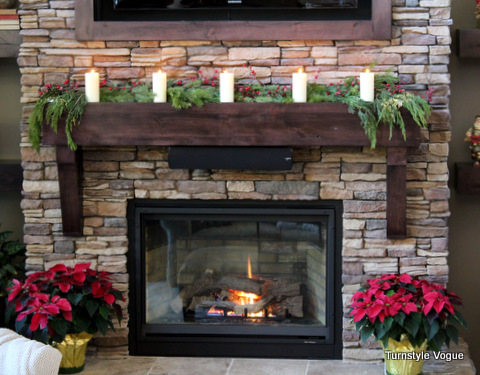 So, here’s a simple guide to help with the decision of what works together, for any mantel. This theme is easy to accomplish, because of the natural items that can be found in it. Think tree branches for garland and wreaths, pinecones and acorns to replace sparkly Christmas balls, holly and mistletoe, for a bit of color. All the things found during a stroll in the woods could be a potential decoration for a country themed mantel. 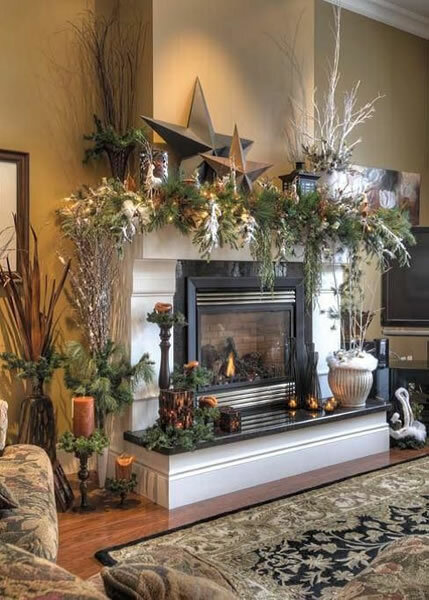 And if there is a sportsman in the house, you may have some decorations in the form of stuffed birds or animal heads that could accentuate your mantel. And perhaps some miniature favorite creatures could be bought and strategically placed. Mix it together, add a few strings of soft white LED lights, and the let the beauty of nature do the rest. Greenery doesn’t only have to maintain a rustic theme. 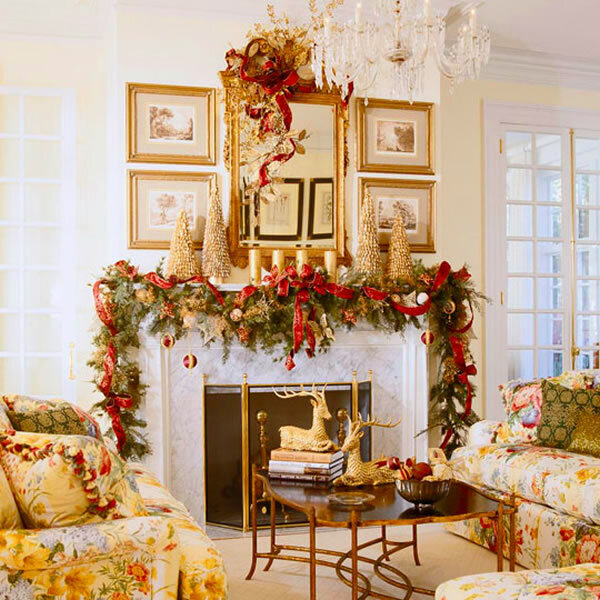 A more traditional use of branches and flowers can accentuate the decorations handed down over the years. Those colorful glass balls hung at varying heights and a mix of lights and candles can bring out a bit of elegance. 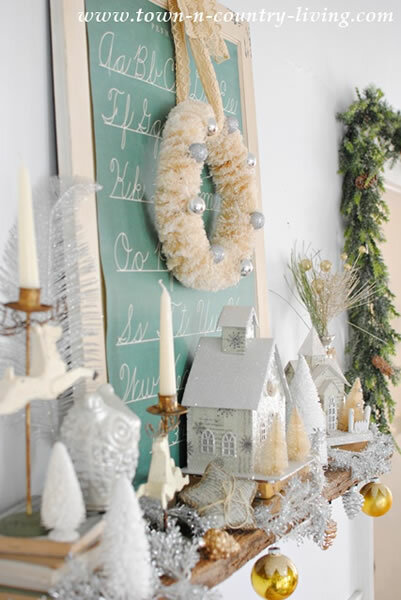 If a collection of some kind, such as Santa’s, or perhaps houses for a village, is arranged amongst the garland, it can even add a touch of whimsy to an already lovely scene. And of course, don’t forget the stockings, decorated with more Santa themes, including the reindeer, or perhaps a snowman. 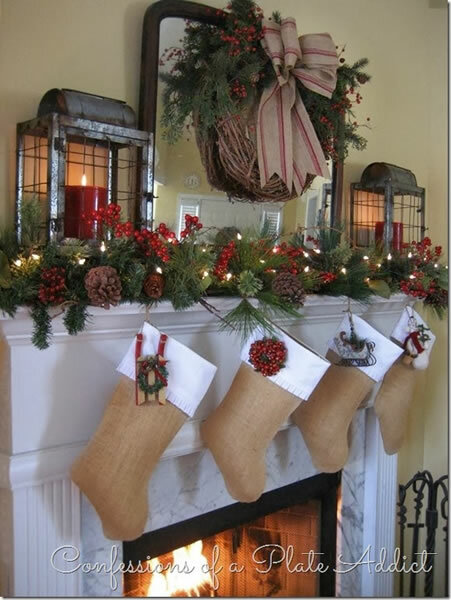 Even coloring the stockings with Christmas trees will fit in with the rest of the décor. If the theme of this popular Christmas song is what you want, it's quite easy to come by. White garland, wreaths, and trees are sold wherever other decorations can be found. A few colored balls or candles can break up the white a bit, and some white LED lights can make it shine like a snowy dream. 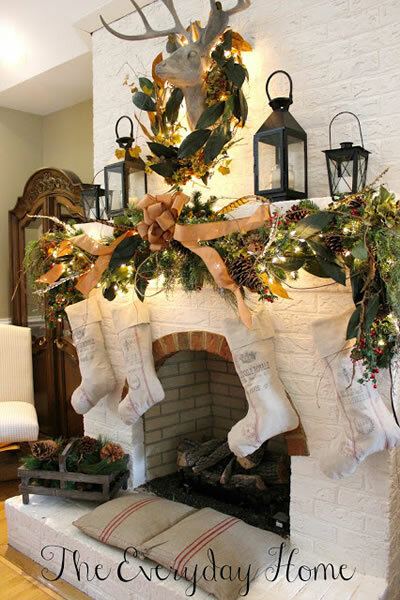 Hang some beautiful white stockings from the mantel to complete the look. Perhaps the traditional red and green Christmas is not a favorite. It is simple to replace those colors with whatever you choose. 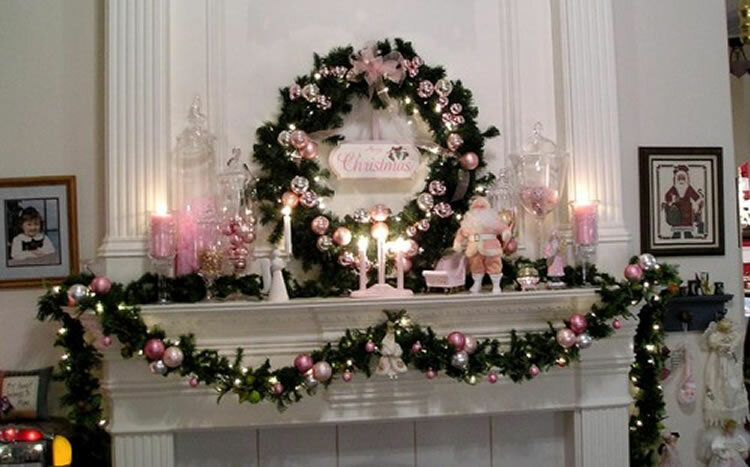 Perhaps a pink-dressed Santa, pink candles, pink Christmas balls adorning a green wreath and garland. Even pink ribbons and a pink hand lettered sign wishing guests a Merry Christmas. Decorations come in all colors now, and can be used to suit the whims of those doing the decorating. Or if pink is not your color, replace it with purple, blue, or any other color that tickles the fancy. These days, the world has become somewhat more non-traditional, and not just in the colors we choose. Some prefer to step outside the box on all their Christmas decorations. 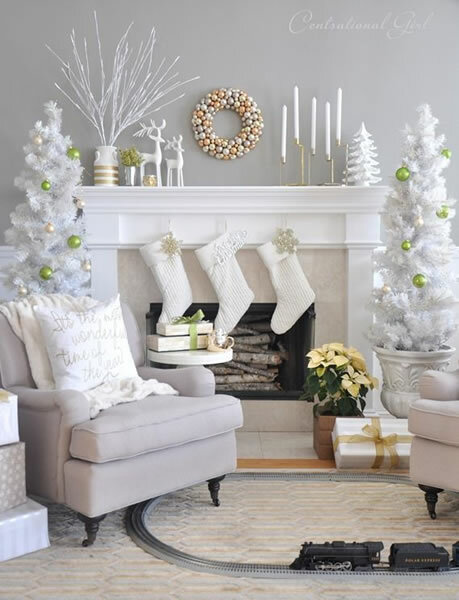 If this is the case, adorning the mantel with a garland with golden lights may be a more modern replacement that the soft white or flashy colors used in the past. Using fruit, like oranges and lemons, could also be a refreshing twist on the traditional Christmas balls that adorned grandma’s tree. Some nuts and pinecones add a bit of flavor as well. Of course, fruit isn’t for everyone as a decoration. 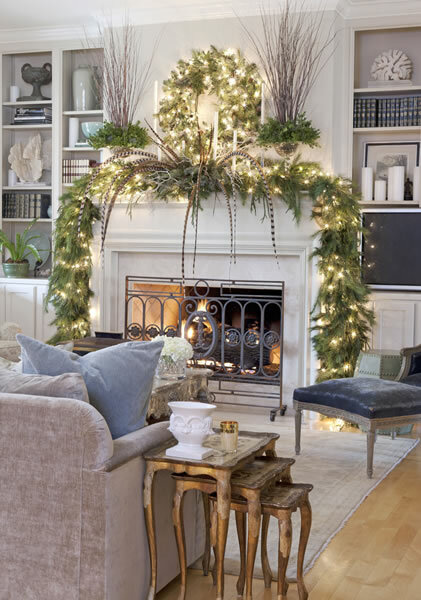 Bushy lighted garlands and wreaths can be accentuated nicely with other non-traditional items as well. Feathers can add a touch of beauty, as well as offering a feeling of entering an enchanted forest. Decorating is not everyone’s strong suit. 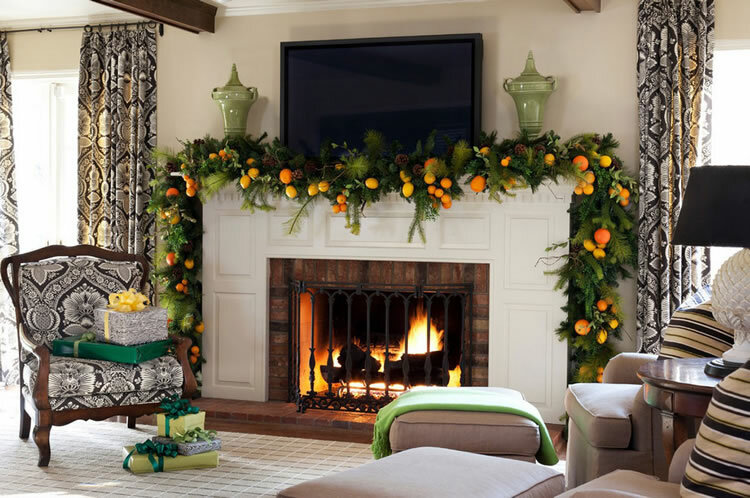 For those who favor simplicity, a simple garland, whether natural greenery or a more colorful variety, can be hung or draped over a mantle quite easily. A string of lights, again in whatever the decorator prefers, will add a bit of sparkle. 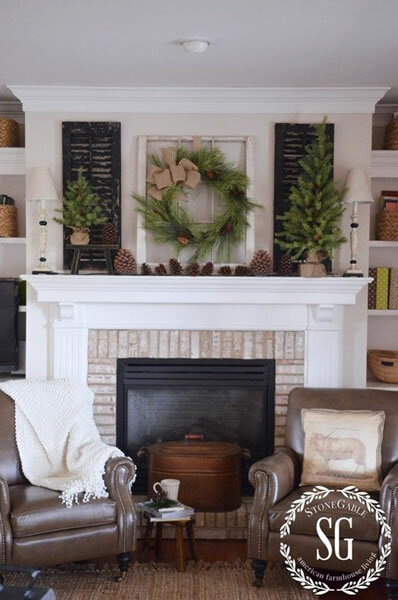 A pinecone wreath, or even one made from those often seen Christmas balls that usually adorn a tree, is easily hung over the mantle. And if a sentiment is more something that adds more feeling than the candles or Santa’s in other themes, a few letters or words on a piece of wood can complete the look desired. And of course, don’t forget the stockings. 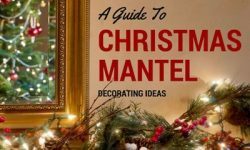 Decorating for Christmas can be both fun and challenging, and even sometimes terrifying if those decorating are having difficulty deciding just what it is they want to do. But Christmas is about what is in your heart, and spreading that love to those around you. 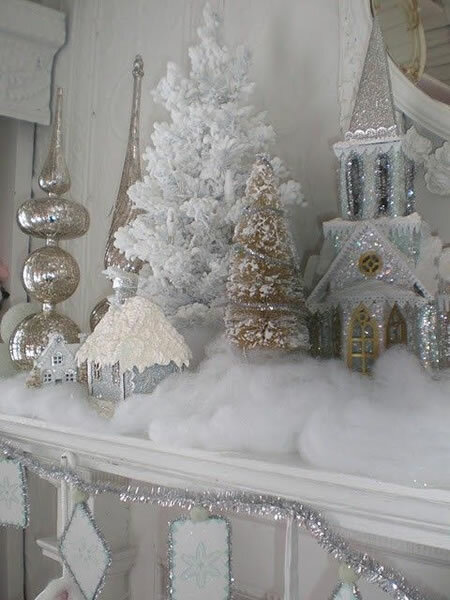 If the decorations placed on that mantel display that same warmth to those who view it, it will be beautiful, no matter what theme is chosen.